Designed by Sir Vincent Raven and originally classified as NER T3 No 901 was the first of the class to be built, this class of 0-8-0 locomotive’s where the most powerful freight locomotives built by the NER. Darlington Works built 5 T3s in 1919 and another 10 in 1924. No. 901 was out shopped from North Road in September 1919 and being the first engine of the class it was put on dynamometer car trails at first in the Tyne Valley between Newcastle and Carlisle and later between Newport and Shildon. The most notable trail with a T3 was when No. 903 was tried on Glefarg bank between Perth and Edinburgh hauling a load of 755 tons made up of 30 loaded wagons and two 20 ton brake vans. It must have been an unforgettable experience to see and hear No’903 climbing the 1 in 75 bank on full regulator and full forward gear. In normal service the T3s where allowed to take loads 20% above those of the T1 and T2s and it was actually said that the engine’s where too powerful for the traffic available and the siding accommodation. It wasn’t until they were transferred to Tyne Dock and used to work the heavy iron ore trains to Consett was there potential really reached. They were the only locomotives capable of handling these trains without assistance until been finally ousted by the introduction of the modern BR 9F 2-10-0s. In 1926, under the LNER’s reclassification scheme, the T3s where reclassified as Q7s. So, T3 No 903 became class Q7 No. 901, and then in 1946, under the LNER’s renumbering scheme, No. 901 became No. 3460. 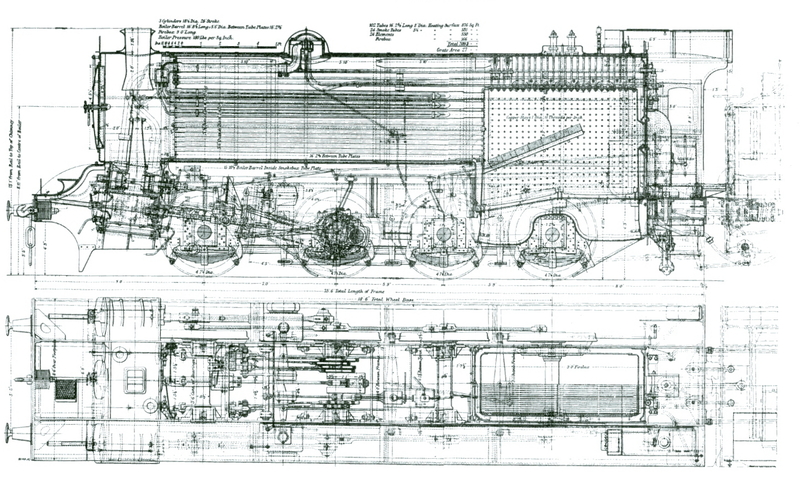 After nationalisation in 1948 the engine was renumbered again became class Q7 No. 63460. 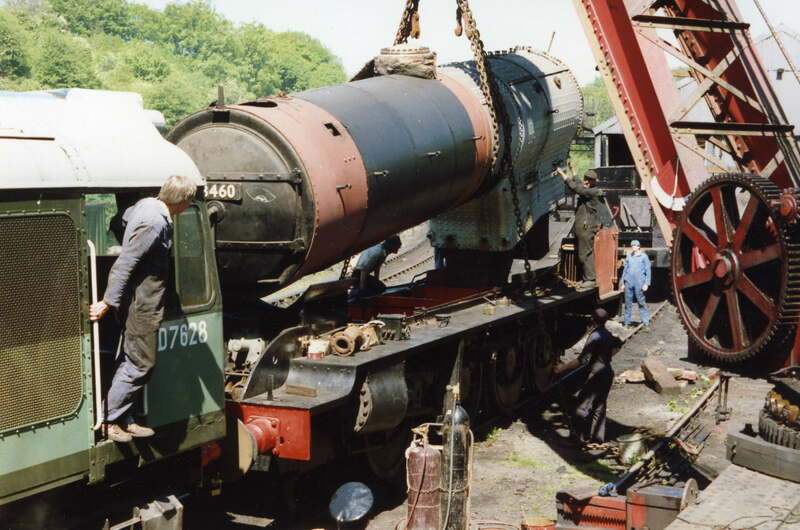 The engine then carried this identification until the end of its BR career. No. 901 was originally allocated to Blaydon before been transferred to Hull Dairycoates in December 1923, where it was to haul coal trains between the South Yorkshire pits and the docks at Hull. By 1929 it was back in the North East, seeing service at Haverton Hill, Stockton, West Hartlepool and Darlington. 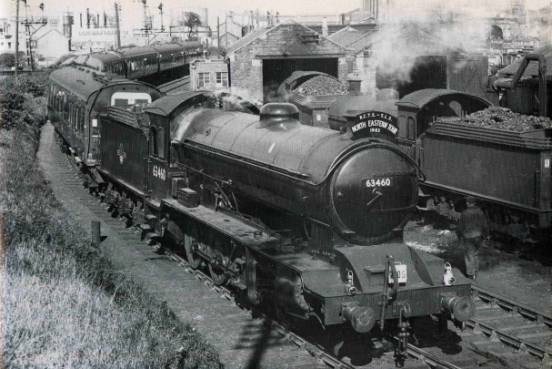 Under a Wartime reshuffle of motive power all 15 members of the class were concentrated at Tyne Dock Shed, later to work the Consett iron ore trains, for which they were fitted with vacuum brake equipment and two Westinghouse pumps for opening and closing the air-operated doors on the ore wagons. 63460 remained at Tyne Dock until withdrawal on 3rd December 1962. Earmarked for preservation as part of the National Collection, the engine was stored at Darlington Works, being steamed in September 1963 and again in May 1964 to work railtours in the North East. Thereafter it was stored at Hellifield, Stratford - London and Preston Park - Brighton, before moving to York in 1978. 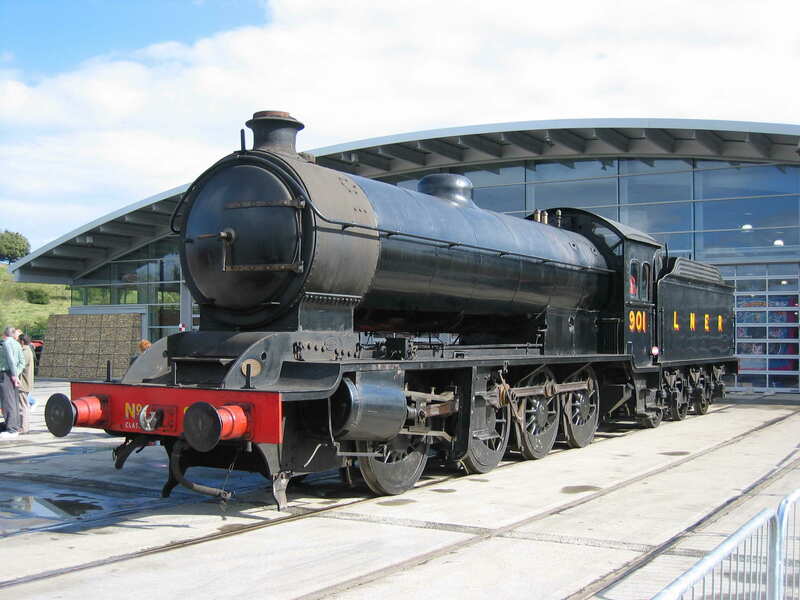 In 1979 an agreement was reached between the National Railway Museum and the N.E.L.P.G. for the loan of the locomotive, with the group funding its restoration. 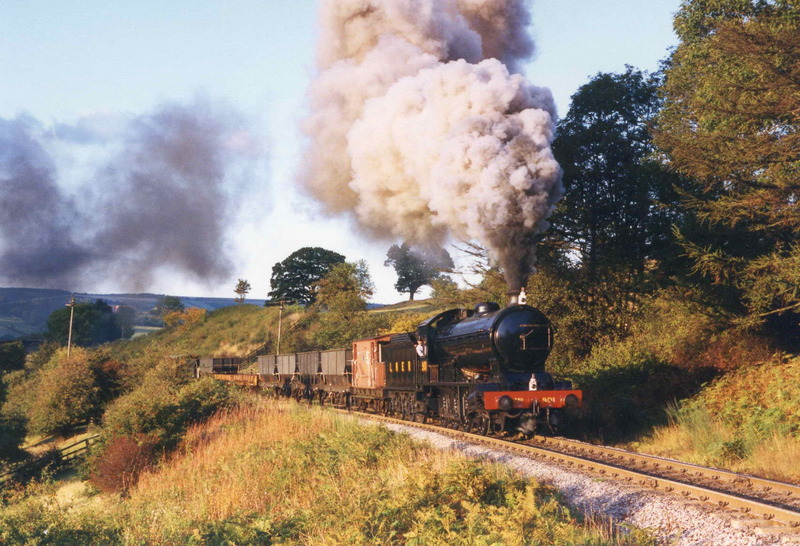 Work started on the overhaul at Grosmont in 1982 and 1991 and the locomotive eventually entered traffic on the N.Y.M.R. In L.N.E.R. livery, as class Q7 No’901 the locomotive became a regular performer taking the heavy peak season trains in its stride until withdrawal in 1999. 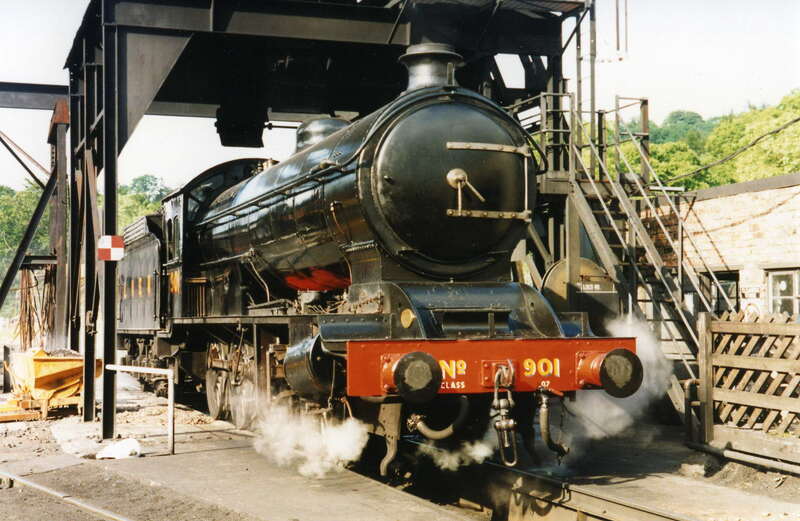 The locomotive remained in store in Deviation shed at Grosmont until June 2004 when it was moved by road to Shildon, and was the first steam locomotive to arrive at the National Railway Museum's new museum 'Locomotion'. 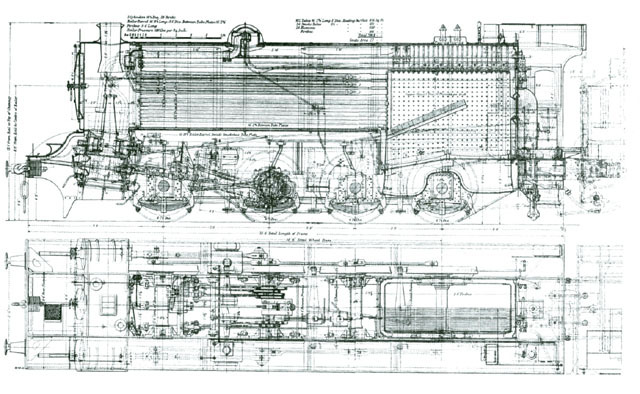 The locomotive weighs over 115 tons when in working order and is over 60 feet in length. The wheel arrangement is 0-8-0 and the 4' 7¼" driving wheels are driven by three cylinders (18½" dia. by 26" stroke) controlled by Stephenson link valve gear. The working boiler pressure is 180 psi. and the locomotive produces a tractive effort of 36,963lb. "Head of Steam" - Darlington Railway Museum.